We don’t get too many ‘name’ acts coming through this area, so when we saw a ad for comedian Carl Barron at Capella (50k north) we grabbed a couple of tickets. Actually the venue sold out over a week before his performance. As it was on the Saturday night of a long weekend up here, we took the chance to have a couple of days away. Carl Barron was great – lots of laughs. After the show we continued north and stayed the night at Clermont. Next morning we headed north-east, through Moranbah and on to Mackay. When we bought Suzi we never imagined doing trips in her like this – the roads are pretty rough and being such a short wheel-base, Suzi is pretty rough to travel in. The distance between towns is also a lot more up here. 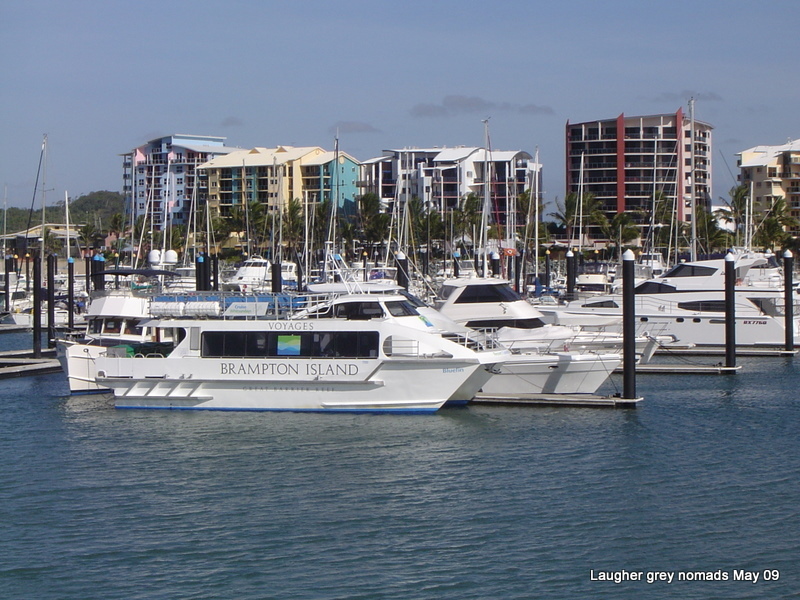 Mackay is just under 400km from Emerald – our second closest larger town. Rockhampton is closer, at 300km to the east. We both hit the shops on Sunday arvo in Mackay. Both of us had a few things we wanted, things just not available in Emerald. Stayed in the CBD, on the south bank of the river. Had a nice tea out at Hogs Breath. Monday morning we both indulged in our favourite breakfasts at the harbour – pancakes with lemon for Jan, eggs benedict for David. 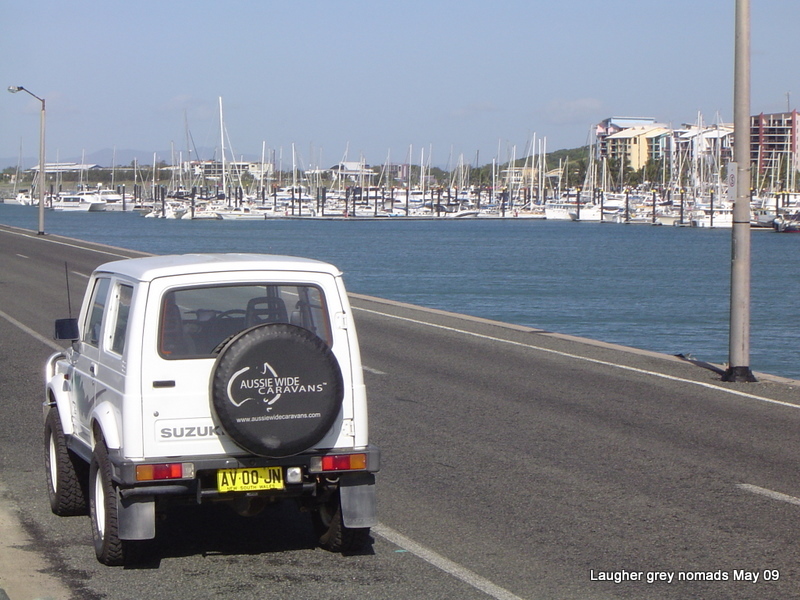 We had a look more of a look around Mackay and then Sarina, 40km south. We then headed back to Emerald on a slightly different route. 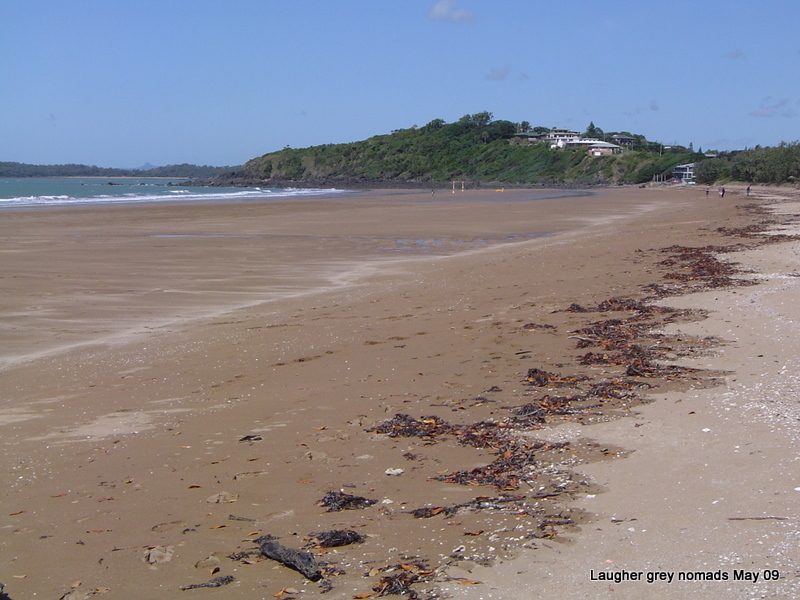 This trip to Mackay was our first but it won’t be our last. So many things to see – so little time.